The Residence Mediterraneo apartments are carefully furnished, each one has one or two private bathrooms and they are endowed with all comforts: washing machine, dish-washer, kitchenette, oven, inox steel pots and pans, fridge, satellite TV, safe deposit box, telephone, air conditioning. The Mediterraneo Residence, attentive to the guest needs, has two and three-room apartments which can accommodate from 4 up to 7 guests. The residence is open all year round with all comforts to let you enjoy a pleasant holiday by the sea in a relaxing and friendly atmosphere. A prosperous nature can be enjoyed in this part of the Marche region: an enchanting natural landscape which goes from the sea with the soft sand in San Benedetto del Tronto and Grottammare to the green and harmonious hills and up to the Sibillini Mountains. Allow yourself a pleasant stay under the banner of hospitality, at the Riviera delle Palme, for a totally relaxing holiday. The B4 two-room apartment can accommodate up to 4 guests and it is endowed with a kitchenette, a living room with a double sofa bed, double bedroom, bathroom with shower. The apartment is located just a few steps away from the promenade in San Benedetto del Tronto and it is endowed with all comforts: washing machine, dish-washer, kitchenette, oven, inox steel pots and pans, fridge, satellite TV, safe deposit box, telephone, air conditioning. An offer for this apartment! The B5 two-room apartment can accommodate up to 5 guests. The apartment is on two floors and it has two private bathrooms. 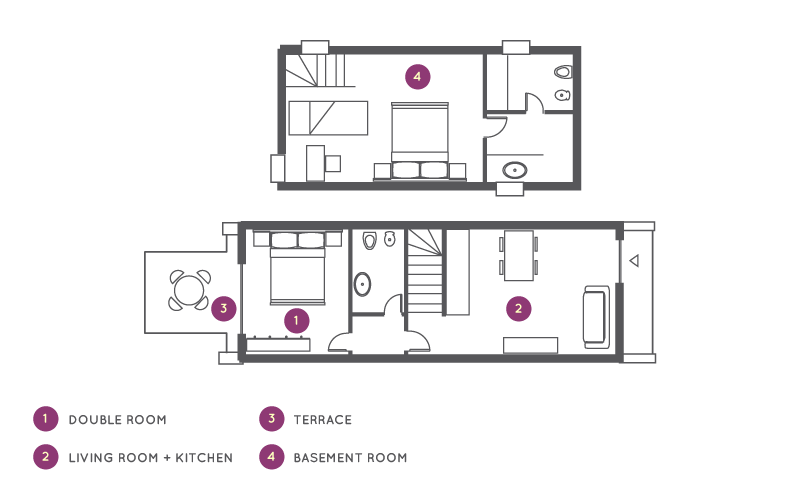 1st floor: kitchenette, living room with a double sofa bed, bathroom with shower. 2nd floor: double bedroom in which a chair-bed is also available, bathroom with shower. The apartment is located in San Benedetto del Tronto, a few steps away from the crystal sea and it is endowed with all comforts: washing machine, dish-washer, kitchenette, oven, inox steel pots and pans, fridge, satellite TV, safe deposit box, telephone, air conditioning. 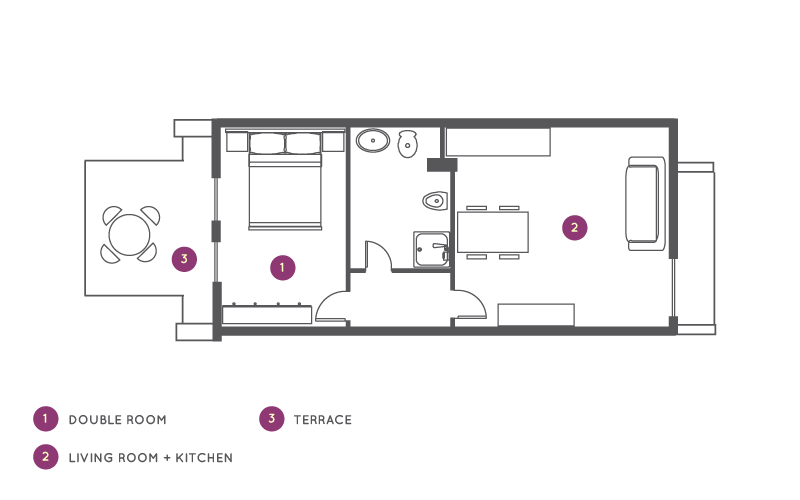 The C/6 three-room apartment can accomodate up to 6 guests. The apartment is on two floors and it has two private bathrooms. 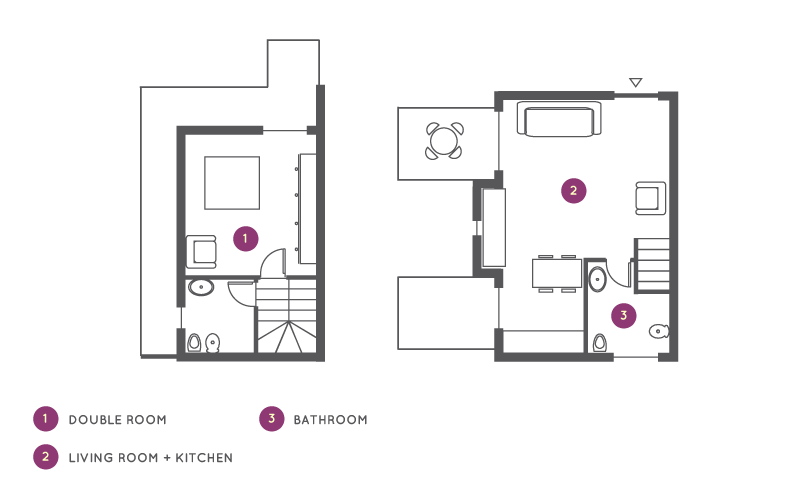 1st floor: kitchenette, living room with a double sofa bed, toilet. 2nd floor: double bedroom, one bedroom with two single beds or a bunk bed, bathroom with shower. The apartment is located a few steps away from the beautiful beaches in San Benedetto del Tronto and it is endowed with all comforts: washing machine, dish-washer, kitchenette, oven, inox steel pots and pans, fridge, satellite TV, safe deposit box, telephone, air conditioning. The C/6 three-room apartment can accommodate up to 7 guests. The apartment is on two floors and it has two private bathrooms. 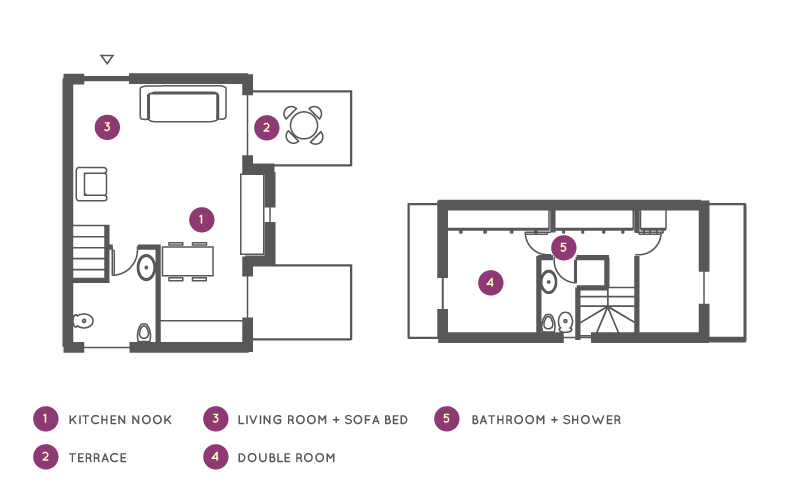 1st floor: kitchenette, living room with a double sofa bed, double bedroom, toilet. Basement: double bedroom in which a chair-bed is also available, bathroom with shower. The apartment is located a few steps away from the sea and the beautiful beaches of San Benedetto del Tronto and it is endowed with all comforts: washing machine, dish-washer, kitchenette, oven, inox steel pots and pans, fridge, satellite TV, safe deposit box, telephone, air conditioning.